Applicant must be a enrolled in an accredited college or university. Applicant’s course of study must be in pursuit of an administrative or scientific discipline that relates to a career in environmental health and/or enhances an existing career in environmental or public health. Applicant must have a minimum grade point average of 3.0 on a 4.0 scale. Applicant must be a member of FEHA in good standing. Applicants that are high school seniors may submit a college acceptance letter with proof of enrollment into an environmental health or public health program in an accredited college or university. Applicant must also submit official high school transcripts showing a GPA of 3.0 on a 4.0 scale. 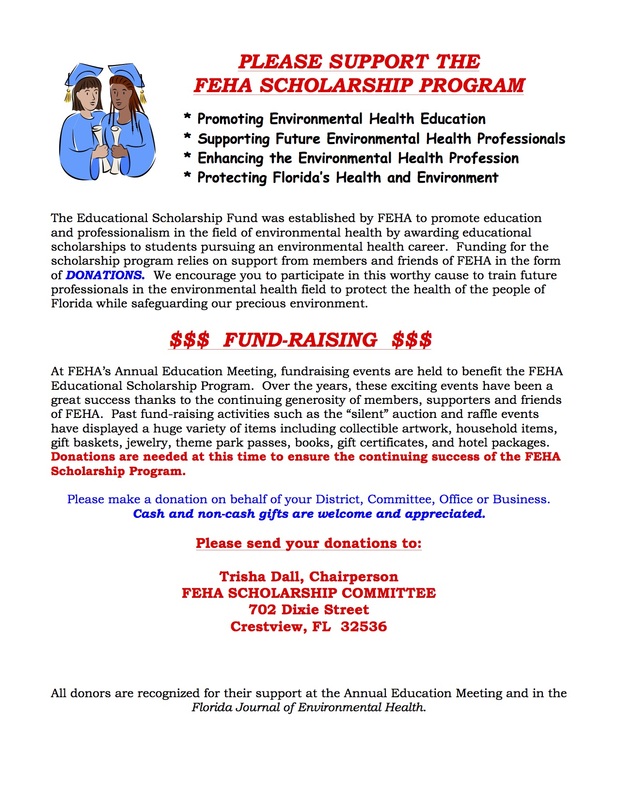 All Scholarship award recipients must be present at the Annual Education Meeting (AEM) Awards lunch to receive their award.